No matter where you live, you can wake up to the sweet warbles of songbirds. The Carnegie Museums of Pittsburgh’s Innovation Studio has released an alarm clock app to wake you up with the birdsong of your choice, as Hyperallergic reports. Dawn Chorus came out of an effort to create a museum app that would be useful to people every day, not just on days they visit. What the developers came up with was an alarm clock that draws on the collection of the Carnegie Museum of Natural History. 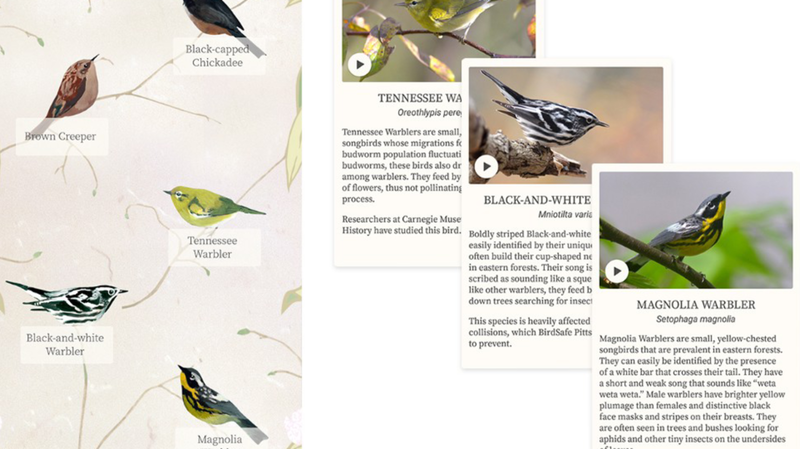 The audio featured on the app comes from birds that are native to western Pennsylvania, all sourced from the Macaulay Library, a Cornell-based archive of multimedia recordings of wildlife species (especially birds). There are 20 bird species to choose from in the app, and in addition to hearing their dulcet tones as you wake up in the morning, there are photos and descriptions of each species, including any environmental threats that face those birds and information on what the Carnegie Museum of Natural History is doing to preserve them. When you set your alarm, you choose a time and the bird species you’d like to hear in your “Dawn Chorus”—the name for the songs that birds sing at the beginning of each day. You can choose up to five bird songs to add to your chorus, or just listen to one, choosing from species like the black-and-white warbler, the pine siskin, and the ovenbird. It’s a lot more pleasant than waking up to a fire alarm or generic beeping, and a bit like going bird-watching while you’re half asleep.